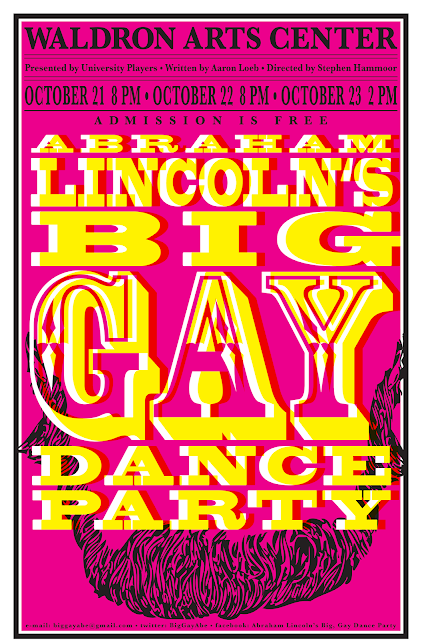 This production of Abraham Lincoln’s Big, Gay Dance Party and the entire project surrounding it seeks to infuse the IU, Bloomington, and statewide communities with social and academic discourse on Queer History. The project is actively working to empower and enliven Queer History, through a number of mediums, within individuals and within our community. This is not a project which has been undertaken before in this area, especially not on such a far-reaching scale and in the heated political climate which we find ourselves in. This project is a necessary part of the IU LGBTQ community and greater community because it demands a sense of humor when approaching hotly contested issues. The play and the project work to provide meaning in multiple layers as to best facilitate an understanding of the complexities of issues surrounding gay American history, inconvenient truths about American life and past, and even tough realizations about Americans in the present and in our own state of Indiana. This production and this project will enliven the local and hopefully state-wide debate and will inform and challenge aspects of gay history through a double-edged project of scholarship and vaudeville-style theatre. John Waters has been known to call on the gay community to get its humor back again; “Let’s be outlaws again” he said in a recent Advocate interview. Let’s have a big, gay dance party, because it’s exactly what we need right now to reach the seemingly unreachable. We are working on multiple exciting components for this project. — This production of ALBGDP will be its collegiate premiere. This production will focus on the power dynamics and cross sections of interpolation which exist for rural queers as well as those on a national historic stage. 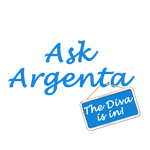 The production will do this through the lens of burlesque — a historically American genre of theatre which features comedy, strip, satire, agitprop and music. All of these elements inform the text of this play, the rehearsal work which will go into it and the layered production choices. This production is the driving force behind the discourse we are working to create in the community and will draw in a diverse crowd from around the state. Specifically, this production will tackle not only rural Queer life, but also the struggle of identity in rural spaces as well as the search for a Queer community to poke fun at itself while exploring its core themes and values. — The Pop-Up Museum of Queer History will make its Midwestern debut in Bloomington with Queer art from around the country and the globe as well as pieces made specifically for this show in Bloomington. The Museum will also feature key historic artifacts from the Kinsey Institute as well as a timeline from the Monroe County Historic Society. This exhibition will also feature local Queer musicians and performance artists as it seeks to engage Bloomington’s already thriving creative community in discussions of identity, epistemology, Queer youth and Queer life in a number of spaces (including academic ones). — The academic panel discussion of Queer History titled: “Queer History in ‘Real America’; Subjugated Knowledges in 21st Century Education” will offer theoretical and on-the-ground research and discussion on rural Queer life. This panel will be a frank conversation on current issues and promises to invigorate individuals as they seek to identify and participate in the academic discourse on Queer American History. — The Forum Theatre Session on personal Queer History will spark physical and emotional work by community members as we collaborate to combat everyday oppression. In contrast to the academic panel, this Session demands immediate physical and emotional work on the part of its participants as they work to combat personal and sometimes communal oppressions. This component of the project is very important, it offers an immediate, on-the-ground experience for what Augusto Boal referred to as spect-actors (rather than spectators, which are passive). This Session comes from the Latin American tradition of the Theatre of the Oppressed which was made known by the late Augusto Boal — it’s work in combatting oppression across the globe is growing daily. These components are only the highlight points of this project’s active benefits to the IU, Bloomington, and Indiana communities. Not only is this project working to identify a minority’s history, it is also: creating original art within the IU community, inviting national works and artists to take part in the events, helping to expand and promote IU’s LGBTQ community, engaging a diverse population in a variety of issues, offering academic and social discourse avenues, and it is working to inspire a continuing impact on the IU community. IU has the potential for more than tolerance, it can work to actively promote and engage the LGBTQ community in ways that have not been done in our state or even in our country. This project offers IU the possibility to lead on another social justice issue and to co-create and empower individuals — it is not only a wonderful opportunity, it is a necessary step forward. The opportunity to work with a fresh, unproduced piece of theatre is not one often afforded to Indiana University, let alone students. This production of ALBGDP and its entire surrounding project is one that is new, challenging, hilarious and intensely creative.